The most elegant way to welcome prestigious guests or to celebrate an auspicious occasion. There is really no other way to be served champagne. An oversized chandelier dressed in bottles and stemware is suspended over your beautiful venue. 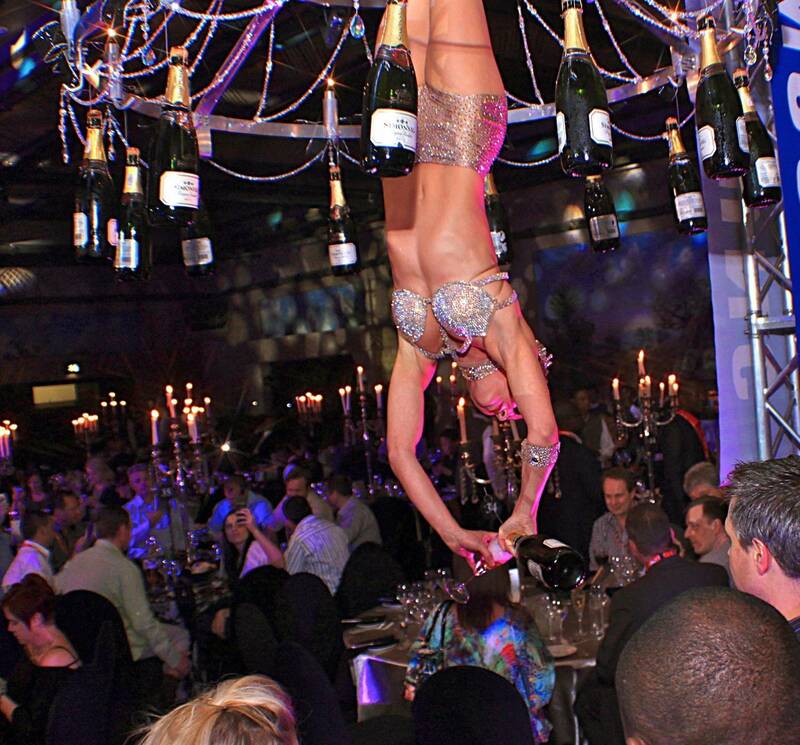 A stunning aerialist descends from the center and suspended, pouring glass after glass of delicate bubbly champagne above the heads of eager guests. This fully mobile, utterly breathtaking beverage service device is perfect for black tie galas, weddings, restaurant openings, and beverage launches.